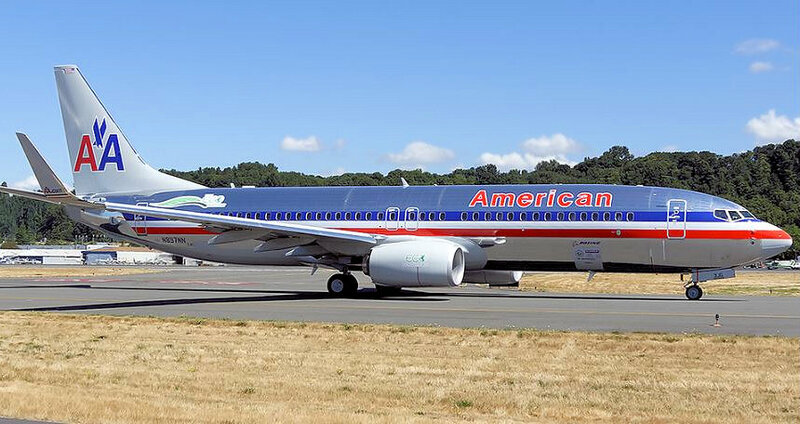 2012 an American Airlines 737-800, N897NN, with more than 15 new technologies. 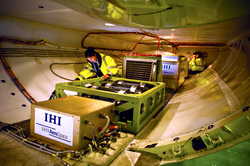 2014, more than 25 technologies were tested on the Boeing-owned 787 Dreamliner ZA004. In 2015, the ecoDemonstrator Program tested more than 15 technologies on a 757 in collaboration with NASA and TUI Group. iN 2018 a FedEx Boeing 777 freighter is set to start testing emerging technologies, the companies said. Technologies include propulsion advancements and new flight deck technologies. Jeanne Yu, Boeing Commercial Airplanes director of Environmental Performance said "The goal of the ecoDemonstrator program is to accelerate integration of these technologies for more fuel efficient, quieter, cleaner, more advanced sustainable material solutions for the future. Demonstration programs give us a platform for better learning about new technologies in application. This helps us incorporate these technologies more rapidly." This article describes the 737 ecoDemonstrator program. The ecoDemonstrator 737NG was used to validate additional aerodynamic performance of natural laminar flow technology on the new 737 MAX Advanced Technology Winglet, which improves fuel efficiency by up to 1.8 percent. The 737 also featured a modified wing with an adaptive trailing edge that could be manipulated to optimize the wing profile during different stages of the flight. The changed profile is designed to move lift further outboard to improve efficiency. This was funded by the FAA's Cleen (continuous lower-energy, emissions and noise) environmental research program. Other wing improvements were made to improve aerodynamic efficiency by cutting drag and redistributing pressure loads eg the addition of a fixed wedge on the trailing edges of the inboard and outboard flaps. The fixed shape simulated a mini split flap. A set of 40 shapes were made for the tests using stereolithography before being taped and glued onto the trailing edge. Bands of sensors were mounted fore and aft at different positions of the trailing edge along the span to assess the impact of the shapes. It also had a PEM (proton exchange membrane) regenerative fuel cell, developed in conjunction with IHI Corp. of Japan, for an experimental galley application. It was the size of this cell that forced the demonstrator to be a 737-800 rather than a -700 because of the space it took up in tthe hold. One of the aims of the program was tol earn how to downsize that technology. There was also an active engine vibration cancellation system developed by Hutchinson Aerospace. The system was designed to counter a natural vibration in the cabin that emanates from the engines. The current approach is to increase engine power at specific times during descent; by canceling the vibration, designers hope to save fuel by reducing required thrust. The 737 also had a variable area nozzle (VAN). As the aircraft climbs to cruise altitude, the VAFN closes to produce an optimum exit area more suitable for the higher-altitude regime and acts “like a constant speed prop,” Although during the tests, the nozzle was fixed in a position to expand outlet area by 10%. This moderates jet velocities at takeoff, reducing noise. The technology, while not applicable to the CFM56, could offer added performance benefits to future high-bypass engines such as the Pratt & Whitney PW1100G geared turbofan. Flight deck technology will include tests of a flight trajectory optimization system designed to fly more fuel-efficient routes. The cabin was fitted with recycled carpet. Radio-frequency identification devices (RFID) were trialled for faster checking of emergency equipment, such as passenger oxygen masks and life jackets. Mandatory manual checks of such equipment currently take operators 5 hr. to perform per aircraft, and the demonstration hoped to show this could be done in as little as 90 sec. using an RFID reader that scans them electronically. Ground connectivity including the uplink of weather data. 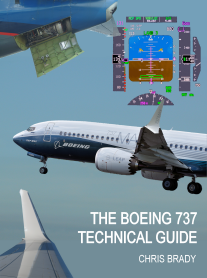 The configuration tested on the 737 included a Swift intermediate-gain broadband antenna from CMC Electronics, a Thales satcom data unit and a Boeing-built Onboard Network System (ONS)—a network file server that connects via a wireless network to other aircraft systems. The entire 45-day test phase was flown with blended biofuel.